József Rippl-Rónai is considered one of the finest Hungarian painters and yet his paintings in garish colours with flat treatment of the surface cease to keep me interested. I could see them and forget them in the matter of seconds. 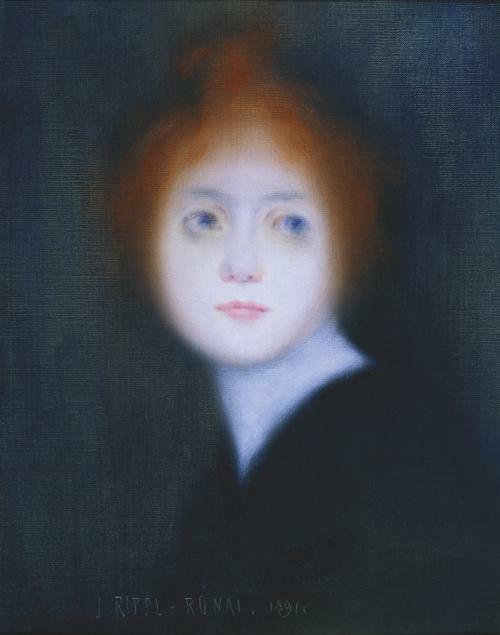 His pastel portraits, on the other hand, are absolutely captivating and they have a rare haunting beauty. József Rippl-Rónai was born in the town of Kaposvár in the southern Hungary on the 23 May 1861. He attended grammar school and later, most unusually for someone who would went on to become such a fine painter, studied pharmacology. 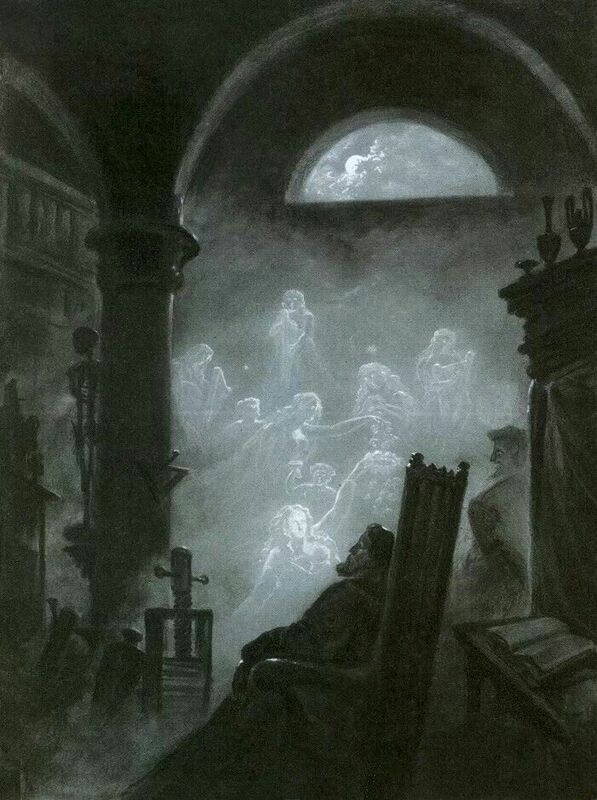 From 1881 he worked in an apothecary in his home town and as a private tutor for the family of count Zichy. He only casually attended some drawing classes, and once in a while travelled to Vienna to copy the works of old masters. In 1884 he was awarded a scholarship to study art in Munich, at last! 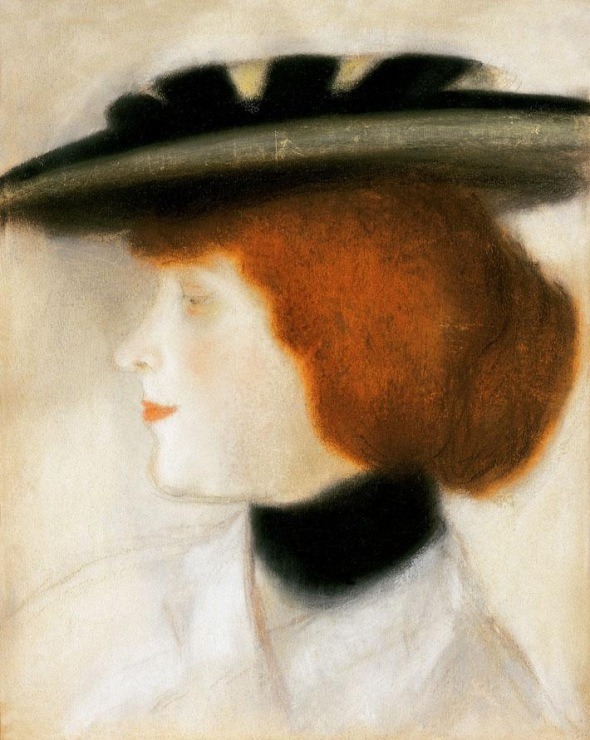 It was common for the aspiring artists from the Austro-Hungarian Monarchy to study in Munich, or, if fate dealt them better cards, even in Paris; the place where everything was. 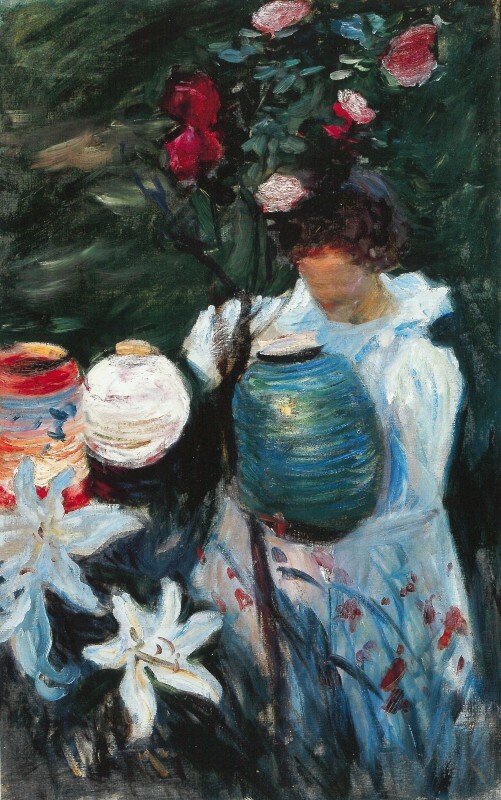 Rippl-Rónai was among those lucky students and after just two years in Munich, he got the opportunity to study in Paris with a fellow Hungarian artist Mihály Munkácsy who painted realist style genre scenes and whose influence, thank the providence, would not have an impact on Rippl-Rónai’s art. After settling in the big bustling city of boulevards, tree avenues, cafes, city of light and hope, he moved to Neully and briefly studied in Academie Julien. 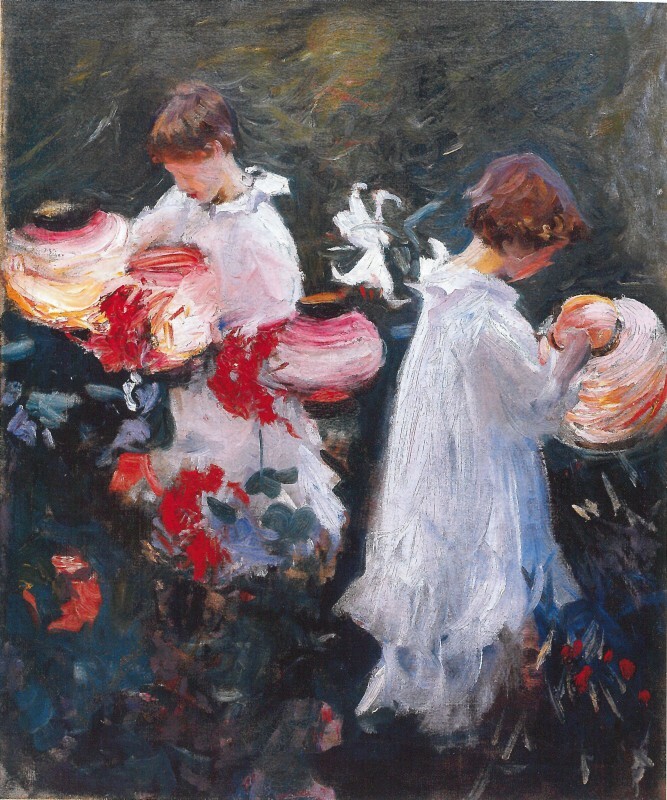 In Paris he met a lady who was to be his future wife, Lazarine, and, even more importantly for his art, he met and befriended a few progressive artists, Édouard Vuillard and later Paul Gauguin as well. 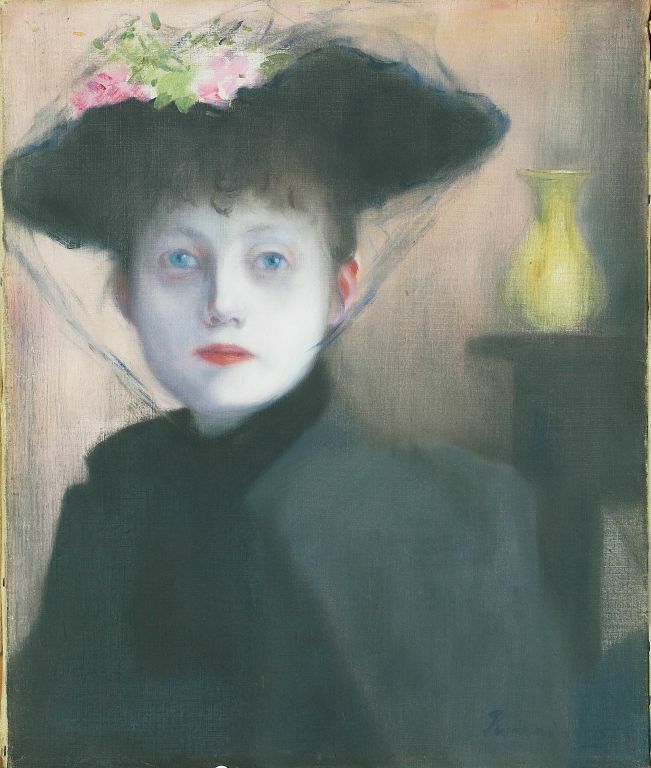 In 1894, after his painting “My Grandmother” was exhibited in Parisian Salon Champ-de-Mars, the art group Les Nabis recognised him as one of their own. From then on, his artistic career only blossomed. 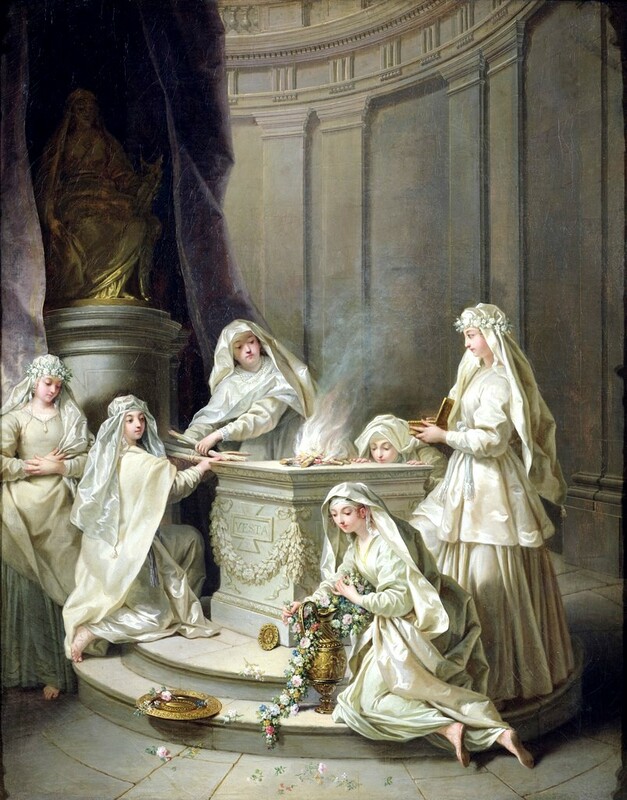 What amazes me is the fact that Rippl-Rónai’s well-known paintings are those influenced by Les Nabis, with flat space and bold colours, while his shadowy and ethereal pastel portraits are left in the shadow. 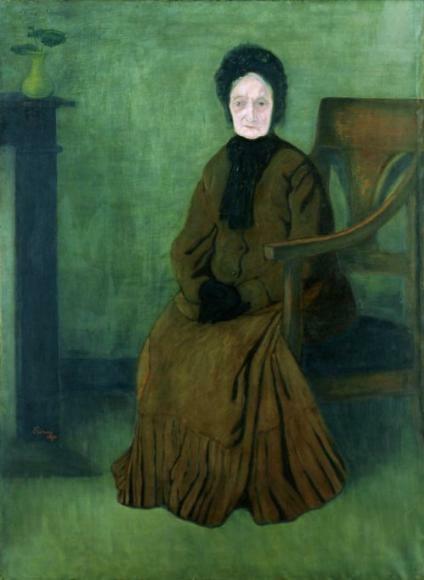 A contemporary critic described his already mentioned painting “My Grandmother” as “a poem about the profound sadness of old age”, and he was very right in comparing it to a poem. 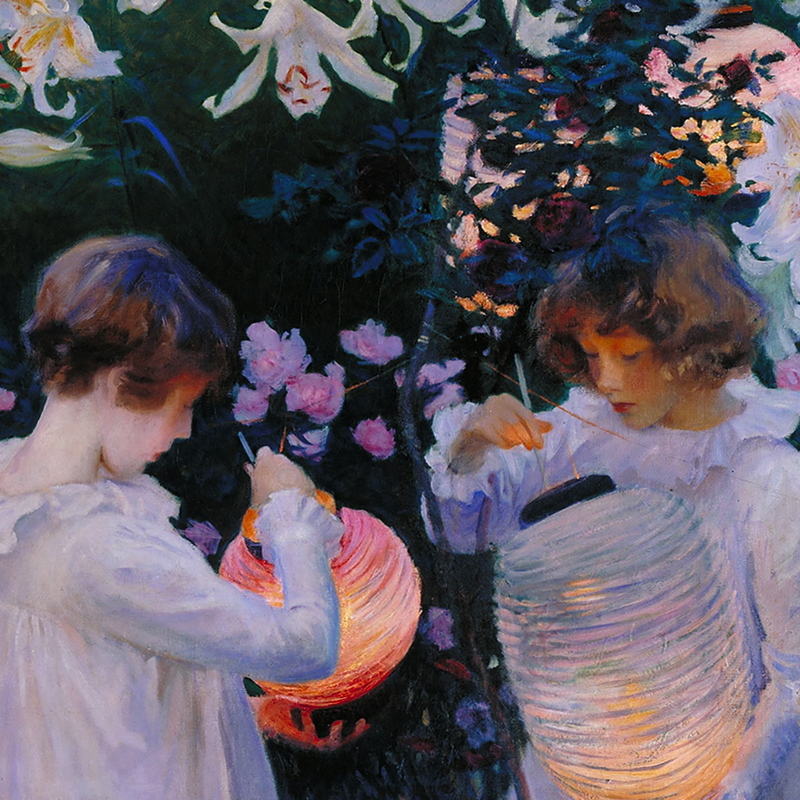 All of Rippl-Rónai’s pastels have this quality of transcending the borders of arts; at times they reminds me of some Swinburne’s verses, at times they make me think of wistful violins in candle lit chambers. Undeniably, they posses a striking lyrical beauty and an eeriness that would interest even the great Edgar Allan Poe himself. Perhaps Rippl’s painting “Woman’s Head with Red Bun” shows the kind of face that Poe had in mind in his short story “The Oval Portrait”. They have a musical element about them, lyrical too, a string of a lyre, a soft hush of a violin, a fragrance of withering roses, delicacy of something passing and transitory, unearthly beauty, verses written in ink and slowly fading, these are the faces of women you see once, only for a moment, and spend your entire life fantasising about. 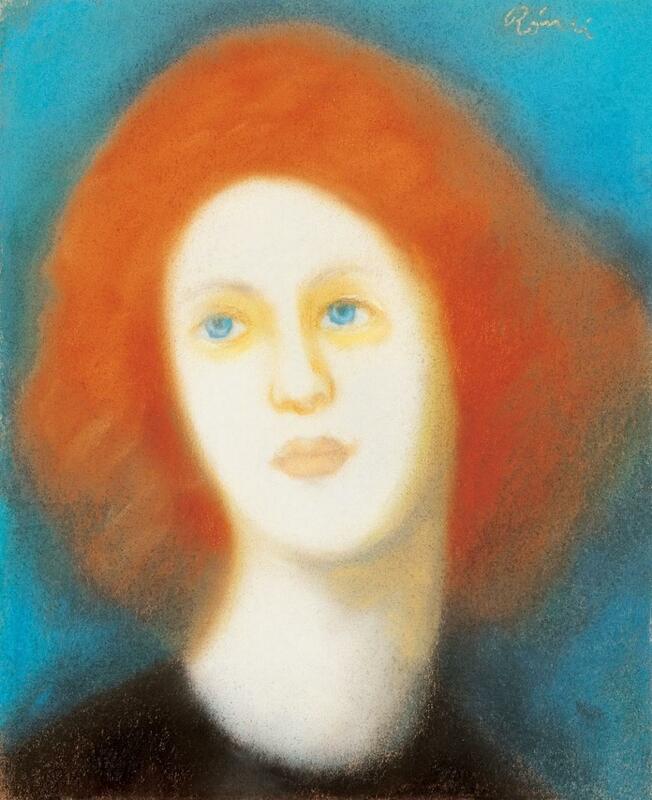 These pastels are something extraordinary in Rippl-Rónai’s oeuvre, the farthest he went from his Realist beginning, the closest he got to Symbolist tendencies, to aestheticism and l’art pour l’art philosophy of the late 19th century. In “Woman’s Head with Red Bun”, this delicate oval face seems to arise from darkness and appear in its smooth as ivory, pale as milk and moonlight colour just for the viewer. 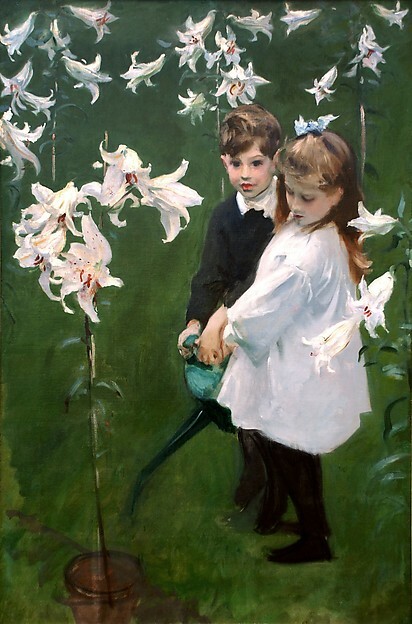 Distant, untouchable, delicate as a lily, she oozes fragility and gentleness, and soft perfumes and sounds of wistful violins, her lips are two rose petals, her large blue eyes, watery and soft even without the drops of belladonna, are two wells that reflect the languorous world of dreams. The transition between the strongly contrasting colours, black and white, are ever so soft, and give the appearance of something that is slowly vanishing, as if every time you blink and then open your eyes again she will be gone; she isn’t really here anyway, she is just passing through this material world without touching it, without being tainted by it. Painting “Red-haired Parisian Girl” resides in an equally dreamy other-world as the previous maiden, but hers is the kind where you leave all your hopes before your enter. If the previous pastel showed a ghostly maiden, this one then is surely a lesbian vampire or a muse gone mad, laudanum addict, the face of Elizabeth Siddal from the other side of the grave. Distant gaze of those aqua blue eyes that also match the colour of the background are as eerie as they are fatal and inviting. 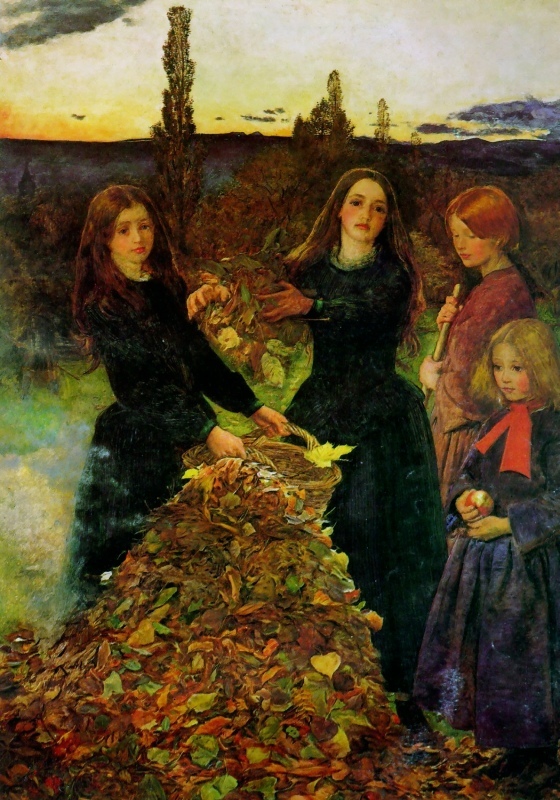 Masses of her fiery red hair overwhelm the bounds of the canvas, There’s a certain masculinity in her face the strong jawline and neck, along with coppery hair, bring to mind Rossetti’s somnambulist femme fatales, beautiful and cruel, irresistible and cold. This is a face from a dandy’s opium dream. “I love the mournful shadow, the dozing light: light which dreams of the night. I love the shadow, twin sister of the warm sun and of the cold moon. I love the shadow, my eternal adopted sister and companion which slumbers beside me, walks near me, my dark picture and my caricature. Yes, I love the shadow, yellow, grey, black; the shadow, sad and silent as death…. O, Shadow, child of the day and the night! Shadowy morning and purple evening! Shadow, child of darkness and light, pale daughter of enigma, opening melancholy silent weary eyes, and through them life peers wonderingly into mysterious death! Last night, my love, you were trembling against my breast with the moist eyes of affection and happiness. I named you beauty, happiness, and woman, but there remained a handful of ashes in place of honey. Love, you also are a shadow…. The shade told me, the shade which grew larger and larger behind the old oak beneath the moonlight whilst awaiting the dew and the dark song of the nightingale under the shrubbery of the hawthorne and brier rose, such shady, foggy and grey fables. The shade was whispering to me this morning as well, as it walked under the fleecy cloud across the field of stubble, caressing the larks’ and the quails’ nests, and kissing the quivering tops of the field flowers. Shadow, thou soft pillow of light: Shadow, thou black bed of life! And when once the planets extinguish, you will remain the empress of life. In his book ‘Observations on the Feeling of the Beautiful and Sublime‘, Immanuel Kant described two kinds of finer feelings; the feeling of the sublime and the feeling of beautiful. Intrigued by this ‘romantic dilemma’, I instantly thought of artworks that embody these finer feelings. According to the dictionary, sublime is something ‘of very high quality and causing great admiration’. Something that’s beautiful is ‘pleasing to the senses or to the mind‘. Tall oaks, thunderstorms, mountain heights, shadows, the movement of storm clouds and old ruins are sublime. On the other hand, Greek vases, Venus in art, flowery alleys and trimmed hedges are beautiful. In correlation to this, then, English style gardens are sublime and French gardens are beautiful. Night is sublime, day is beautiful. Sublime has to be something big and simple, while the beautiful can be small but flamboyant and decorated. Feeling of sublime touches the man, while the feeling of beautiful enchants him. 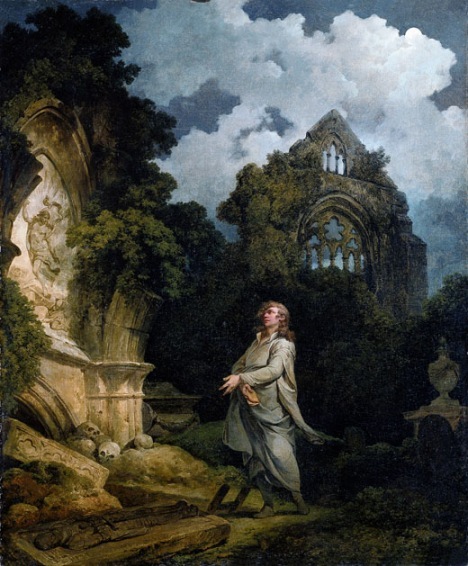 In literature, we could compare Emily Bronte’s Wuthering Heights with the feeling of sublime, and Jane Austen’s Pride and Prejudice with beautiful. Furthermore, Kant explains how men have mostly feelings for the sublime, while women lean towards that which is beautiful. ‘Friendship has mainly the character of the sublime, but love between the sexes, that of the beautiful.‘ Even with physical appearance, Kant noticed the types; people with fair skin, blue eyes and blonde hair are closer to beautiful, while darker skin and dark eyes evoke a feeling of sublime. Moreover, in the last chapter of the book, Kant describes how different nationalities have different finer feelings. The Italians and the French are distinguished by the feeling of beautiful, while the Germans, the English and the Spaniards posses a feeling for sublime. Dutch people have no finer feeling, and put value only on that which is useful in some way. Kant explains it further, stating that the feeling of beautiful can either be: enchanting and touching – that suits the Italians, or cheerful and spicy, which suits the French. When it comes to the feeling of sublime, Kant says that it leans towards dreadful or noble. He attributed dreadful sublime to the Spaniards, and noble sublime to the English, whose actions are guided by principles rather than impulses. He described Germans as possessing a fine blend of both sublime and beautiful, a mix which is more appropriate then the raw power of each separate feeling. Kant only cursorily touched the subject of arts. However, he did explain that the Italian geniuses specially distinguished themselves in music, painting, architecture and statuary. Pleasantry, comedy, satire saturated with laughter, flirtation of lovers, light and naturally fluid style is typical for France. On the other hand, profound thoughts, tragedy, epic poems, all found their place in English literature. I think there is some truth in this, if you only compare Molliere with Shakespeare, or gardens in France and England. Kant’s theory proves the most accurate if one compares two completely opposite art movements; Neoclassicism and Romanticism. 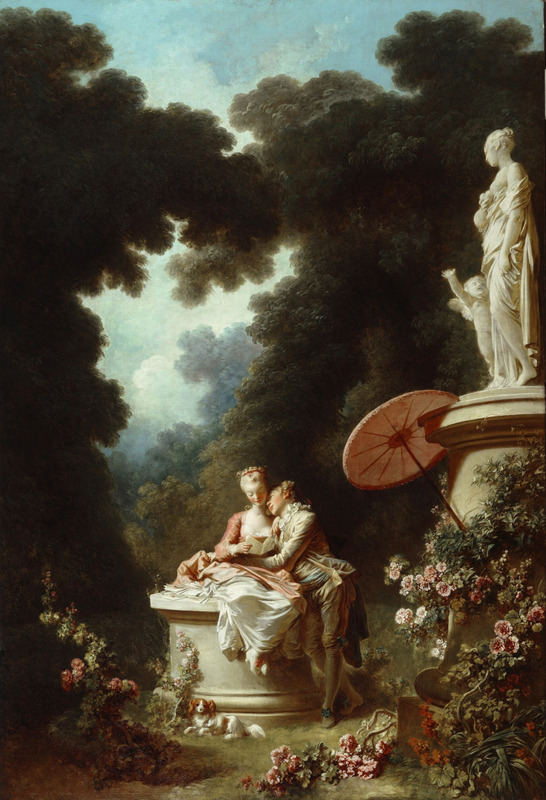 Neoclassicism, and its predecessor Rococo, was chiefly dominant in France with artists such as Ingres, Watteau, Boucher, Fragonard, Jacques-Louis David, and the Italian Antonio Canova, fellow lover of beautiful, all setting this style characterised by pure beauty, simplicity and symmetry of compositions. 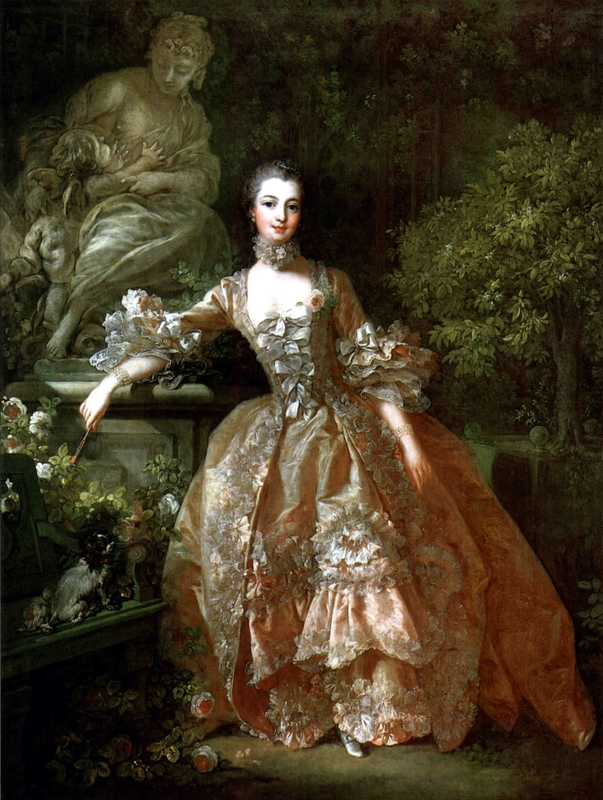 Portraits of royalty or king’s mistresses such as the portrait of Madame de Pompadour, are good examples of beauty in art. 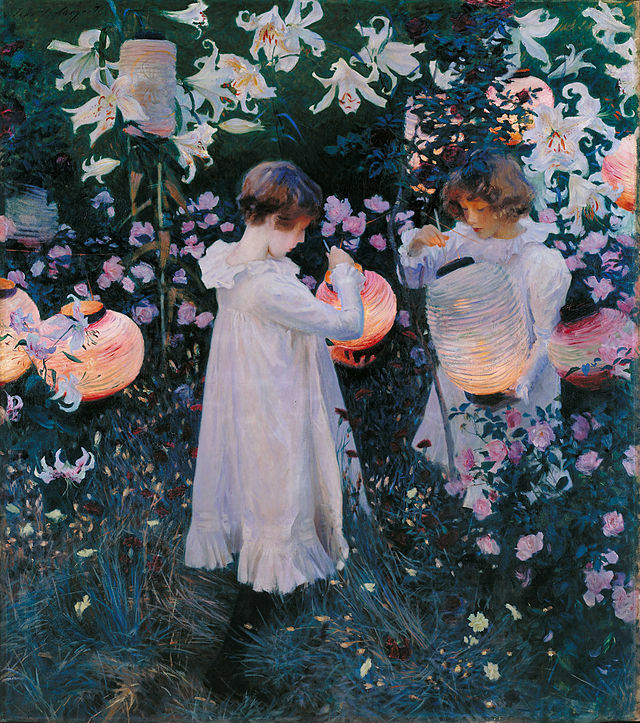 These painting evoke grandeur, richness, coquetry. Still, after a while these painting are sore to the eyes: how many cupids, elegant ladies with rosy cheeks, garden statues in knock-off Greek-Roman style and fine dresses, can a human mind put up with? 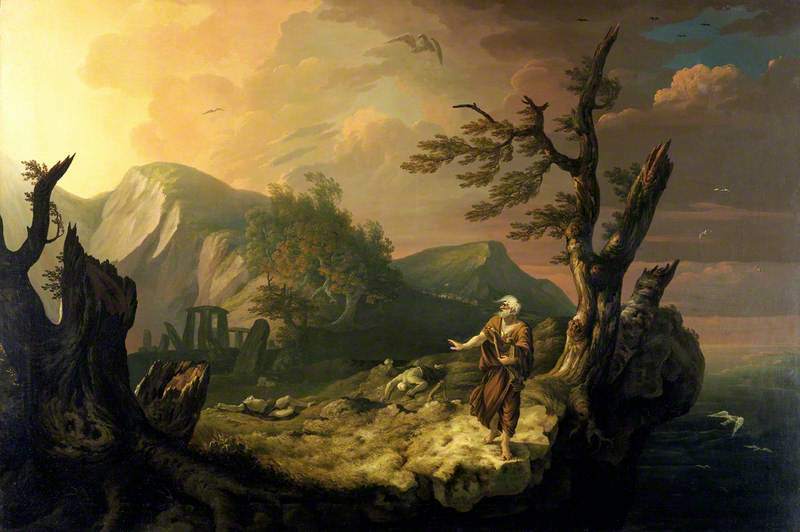 In contrast, Romanticism first appeared in Germany in works of Goethe and Schiller, and in England in works of Lake Poets, William Blake and Ann Radcliffe, exactly in those nations that valued the feeling of sublime. The difference with the French tastes is easy to see, just compare the works I’ve mentioned above with the sublime and wistful landscapes of Caspar David Friedrich or Carl Gustav Carus or William Blake’s fanciful illustrations. Beautiful could exceed into kitschy, and sublime could lead to Gothic and grotesque.